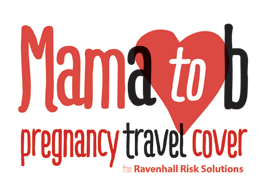 Ravenhall are travel insurance experts, we have helped thousands of travellers protect the most precious experience of relaxation by using our pregnancy insurance service. Ravenhall provide a travel product specifically designed for the needs of Pregnant Travellers and their companions. Are you planning a last, nappy-free holiday before your baby arrives? Or perhaps you booked your holiday last year, only to discover that you’ll be well into pregnancy when the holiday comes around. Whatever your plans - spa break, holiday off the beaten track or a relaxing couple of weeks on a Mediterranean beach - you’ll need to think carefully about travel insurance. While a relaxing break will certainly do mum and baby the world of good, if you’ve left it too late, you could struggle to find cover. Until now, most travel insurers were (and still are) reluctant to offer cover past 28 weeks of pregnancy, due to the potential risk of complications. But now, we’ve introduced the MamAtoB product that covers mums-to-be until 4 weeks before due date of the pregnancy. Unexpected pregnancy related medical expenses including Labour. Automatic inclusion of the infant for cover in the event that you give birth whilst on holiday. Standard travel benefit to purchase essentials whilst away if your baby is born. Extended stay for one person to stay with mum and baby (if they are insured under the policy). Cancellation for all travellers insured under the policy should it be medically necessary. Please see our FAQs here you can also review the policy wording (Please see Page 19 for pregnancy related section) and the key facts document (Pregnancy related cover on page 3). MamAtoB is only available to quote and buy online. Click here to quote and buy online.